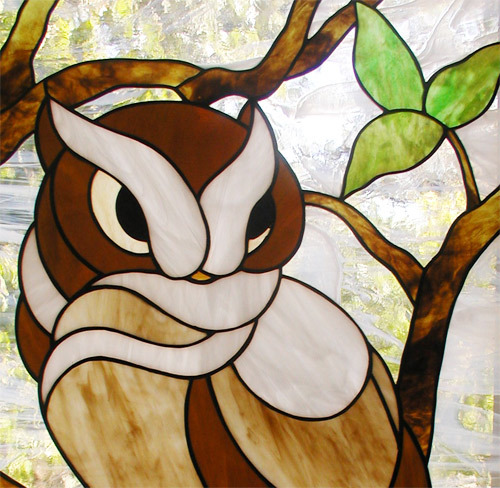 "OWL" STAINED GLASS WINDOW CUSTOM DESIGNED AND FABRICATED BY JACK McCOY©. 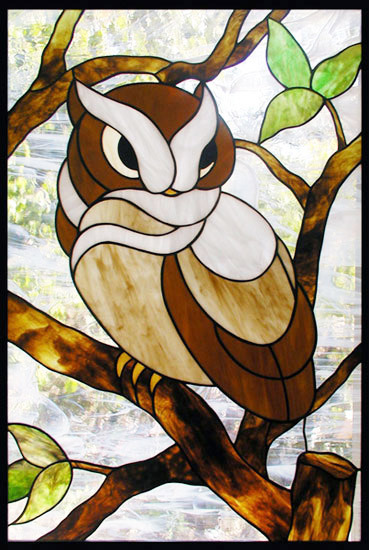 Custom stained glass window of an owl in a tree was 20" x 30". This stained glass owl window was copper foil construction.